Because we have over 300 days of glorious sunlight, we can almost guarantee perfect golfing weather during your stay at our Scottsdale resort! Our very own GOLF CLUB AT EAGLE MOUNTAIN is a Scott Miller designed course and was opened in 1996. This golf course winds through natural box canyons, rolling hills, and lush desert valleys in perfect communion with the natural paradise in which it exists. You will find ours a challenging yet fair course, with contoured fairways and immaculately maintained emerald greens. Exquisite Southwestern spaces with room to move, not only describes the Sonoran Desert surrounding the Inn at Eagle Mountain Resort, but the 43 suites inside. Each suite also offers a “kiva-style” gas fireplace with sitting area, oversized whirlpool spa tub, private balcony or patio offering panoramic views of the golf course and city lights. Additional Fountain Hills resort amenities include roomy closets, solid granite vanities, coffee makers, and refrigerators. Microwaves are available upon request and there is wireless Internet access on the property. Relax in our Outdoor Pool and Jacuzzi overlooking the 18th fairway of Eagle Mountain, or sit in the fireplace alcove by the pool terrace enjoying the view while you savor a glass of Flora Springs Wine, from the vineyard in Napa Valley. Our restaurant is the Grille at Eagle Mountain, which serves breakfast, lunch and appetizers daily from 7am – 5pm featuring a fabulous menu and stunning views overlooking the golf course and East valley. In addition, room service and pool-side service is available for breakfast and lunch daily. If you are visiting us on a business retreat, your needs will be met with unsurpassed customer service. Our staff will do the work for you so that you can focus on the needs of your business. With romance as your guide, enjoy any of our mini-suites with oversized whirlpool tubs, Kiva gas fireplaces, and private balconies with sensuous panoramic views of the desert. Our staff will help you plan indulgent spa treatments at the neighboring spa, or privately in your suite; we’ll tempt your palate with room service upon request, and wines from our own Eagle Mountain vineyard in Napa Valley. It will be an unforgettable romantic experience. With years of experience taking care of our local spa goes as well as travellers from afar. A perfect getaway from your hectic everyday life. We offer variety of treatments from massage, facial to one of the kind body treatments. Surrounded by the inspiring desert mountain ranges between the border of Scottsdale and Fountain hills , our luxurious spa suite is the focal point of this beautiful resort setting. Amid a true sense of place, you may explore your creative consciousness, nourish your body and challenge your physical endurance in a pastoral setting which encourages relaxation and encourages renewal. Each mini-suite and two room suite of our unique resort, located on the 18th Green of the Golf Club at Eagle Mountain, features custom Southwest décor, a romantic “kiva-style” gas fireplace with cozy sitting area, computer desk with high-speed wireless Internet access, HBO, refrigerator and coffee maker. 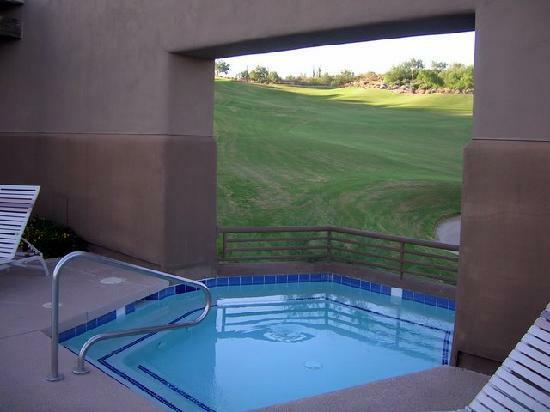 Relax and unwind in your private over-sized whirlpool spa tub, and enjoy the views of the top-rated golf club, pristine desert, mountains and the city lights below from your private patio. The Inn at Eagle Mountain features three meeting rooms that can accommodate groups of up to 50 people, along with an adjoining restaurant and pavilion at the Eagle Mountain Golf Club for larger groups. Terraced in the Sonoran desert foothills we offer a secluded ambience and an exclusive retreat location while being only minutes away from Scottsdale's galleries, shopping, dining and golf. Each of our mini-suites offers luxury amenities, with Southwestern décor and views that will envelop you in a sanctuary of serenity and the mystery of the desert. No other region of our country boasts more than 300 days of glorious sunlight that will allow you to rejuvenate and revitalize your soul. 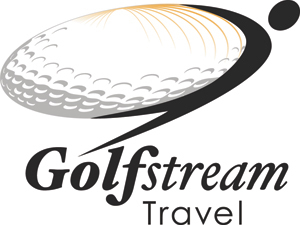 Explore your inner self at one of the nearby, world-renowned Spas; explore the nature of the desert by partaking in invigorating outdoor activities that get your adrenaline pumping; or explore over 150 top ranked golf courses that are home to the PGA and Senior PGA tours like the FBR Phoenix Open. Home to Frank Lloyd Wright’s Taliesin West, and the Scottsdale Museum of Contemporary Art, the Inn at Eagle Mountain Golf Resort will be your catalyst to the great adventures in the Valley of the Sun.